Get a Linux computer: no need to remove (and pay for) all the software you can’t trust! 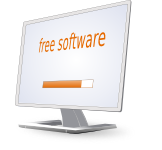 The following vendors sell machines preinstalled with software that’s free as in freedom. This is a hand-picked list with a focus on quality and simplicity. A vendor well-known for its sleek laptops and a self-developed line of desktops, all coming pre-installed with Ubuntu or with an in-house derivative called Pop!_OS. A variety of robust machines built with love and passion, by people with high standards. The growing company is well-appreciated among the community. Purism sells top-of-range laptops with hardware and software selected specifically to guarantee user privacy and liberties. They are now also developing a Linux smartphone. ThinkPenguin, a remarkable vendor truly dedicated to software freedom, preinstalls and supports Ubuntu as well as a variety of other GNU/Linux distributions. Dell sells several laptops marketed towards developers, preinstalled with Ubuntu. LinuxCertified has a variety of laptops on offer, which they preinstall with the distribution of your choice. LAC Portland (previously Los Alamos Computers) specializes in high-end (ThinkPad) computers, with a variety of configurations and GNU/Linux distributions to choose from. Logic Supply focuses on fanless, compact and robust computers meant for industrial applications. Most can be preinstalled with Ubuntu. Puget Systems can install the Linux distribution of your choice on any of their highly-customized, high-end machines. JCCSS.ca builds custom computers according to your hardware and software specifications in Ottawa (ON). Libiquity, much like Ministry of Freedom in the UK, sells reconditioned computers with a fully-free GNU/Linux distribution and libreboot bios/uefi replacement. CurrentBuild has no-frills, intelligently and responsibly assembled desktop PCs on offer, on which Linux comes preinstalled. JinuxPC sells desktop computers built to order according to the specifications of the customer, all preinstalled with Linux. Athena sells a single, very sleek desktop computer called Eos; it is shipped pre-installed with Elementary OS. JNCS, a custom computer assembler, preinstalls (and can commercially support) Ubuntu on all of its servers and some of their consumer PCs. SWTechnology sells high-end desktop machines, servers, as well as several laptops, preinstalled with Linux or even BSD. The Linux Laptop Company sells a range of retail laptops on which the manufacturer-installed OS is removed and your preferred Linux distribution is installed in place. The eRacks company sells a few linux laptops and desktops somewhere in its large computing hardware catalog. VolksPC sell a very compact, quad-core solid state desktop computer pre-installed with both Debian GNU/Linux and an Android distribution. Ministry of Freedom (Minifree) sells both new and reconditioned laptops, desktops and servers preinstalled not only with a fully-free GNU/Linux distribution, but also a libreboot BIOS/UEFI replacement. Entroware has a crisp, elegant line-up of Ubuntu laptops and desktops on offer. Juno Computers have a simple lineup of computers shipped pre-installed with Elementary OS. Star Labs Systems sells high-end laptops and a gaming desktop customized to the user’s specifications, on which a Linux distribution can be preinstalled as an option. Tuxedo Computers (also known as Linux-Onlineshop) sells Linux desktops and notebooks in many sizes, which can be customized according to the user’s needs. ixsoft has built up a rather comprehensive 1990s-styled catalog of computers of all sizes preinstalled with Linux. Cirrus7 focuses on neat, compact and silent desktop computers which they can preinstall with Ubuntu at no cost. Vikings sells desktops and servers with a fully-free software and firmware stack, as well as recycled laptops with libreboot BIOS/UEFI replacement. NovaCustom sells desktops and laptops that can be configured with the hardware and software of your choice. Linuxlaptop.be sells Linux-preinstalled laptops, desktops and tablets, available with a number of operating systems. Slimbook sells a handful of beautiful laptops preinstalled with Ubuntu (or its derivatives), which can be customized with various internal components. PCUbuntu.es also has a range of affordable computers on sale, all preinstalled with Ubuntu. BitBin Computers sells several desktop and barebone computers pre-installed with GNU/Linux distributions. Azken sells and supports very high-end workstations on which Linux can be preinstalled. PcLagun, the webshop of the Reciclanet non-profit organization, has a range of laptop and desktop reconditioned computers preinstalled with Ubuntu GNU/Linux. Libretrend sells a compact desktop computer with a focus on software freedom (Libreboot bios/uefi included) and repairability. Obsidian-PC have laptops of all sizes and capacities on sale, on which Ubuntu or Elementary OS can be pre-installed on demand. Technoethical has a range of second-hand laptops and mobile phones on sale, all preinstalled with fully-free firmware and software. LinuxNow, an Australian vendor, sells a great number of laptop and desktop computers, which come preinstalled with a Linux distribution at the choice of the customer. Pine64 sells a very low-cost laptop for adventurous tinkerers and experimenters. None of the links on this page are commercial. This is a hand-picked, subjective, opinionated but disinterested list. I am always happy to hear about vendors, and to add new quality links — don’t hesitate to get in touch with me (my name is Olivier). Please note that I do not work with coupons, link exchanges, or referrals. Thank you.